The introductory text states that you are receiving this e-mail because you requested a maintenance release. By using the information in the Product field, you can confirm that you are downloading the third maintenance release for SAS 9.2. The third maintenance release is represented by TS2M3. 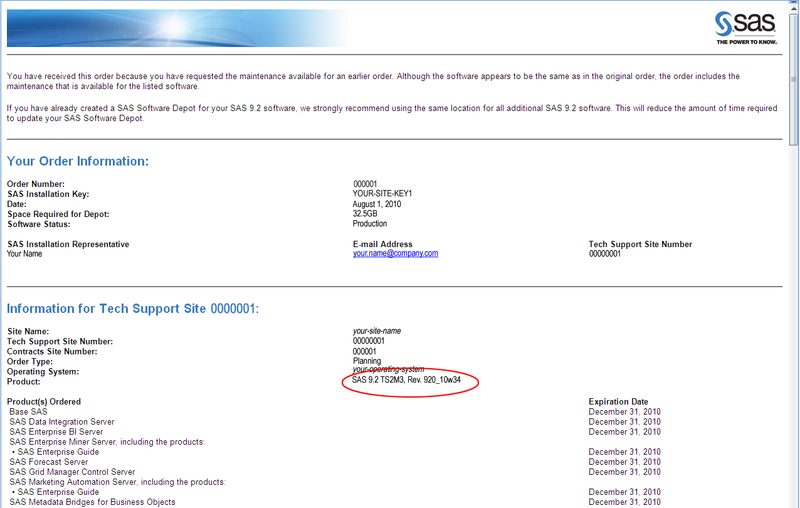 It is recommended that you use the same SAS Software Depot as you used for your initial SAS 9.2 installation. By using the same SAS Software Depot, SAS downloads only the files that have changed since your initial installation. If you create a new SAS Software Depot, then SAS downloads all of the files for SAS 9.2 and any products in your order.